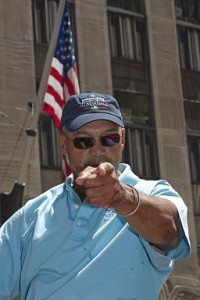 Some collectors have despaired after the headlines of Reggie Jackson confronting a supposed autograph hound/possible dealer. The odds are stacking against real fans, honest collectors and sincere researchers. Don’t look or sound like them, whether it’s in-person or in the letter you send. There may be more at stake than your own success. Standing out! That is something that I have tried to do for several years now and it works. If I really want to have a big day of graphing, I dress up. I have shown up at several venues this season with a dress shirt and bow tie. Every time that I do this, I just absolutely rock on autographs. They will actually walk up to me if they see other guys signing. It is unbelievable. I have done that twice this season already and I had great results both times. If it were not so hot, I would do it more often! Next spring, I am going to dress up the entire month of April! I was in Coopertown when this happened, and I side with Reggie. The kid in question did try to double dip earlier in the day at the golf course. Reggie stopped signing and walked away. Good for Reggie! This confrontation occurred later in the evening and it is Reggie’s right not to sign. The language used could have been better. Common sense and courtesy should be the norm not the exception.